As Canadians, we are fortunate to be among the top four countries with unlimited access to fresh, clean drinkable water. Sadly, 3.5 million people pass away annually from ingesting unclean water. To combat this issue, Team Aqua started a campaign that directly donates to the Water for Life Initiative developed by GAiN. More than 30 Toronto business leaders and accomplished musicians have connected to stand behind the Water for Life Initiative hosted by the Global Aid Network. 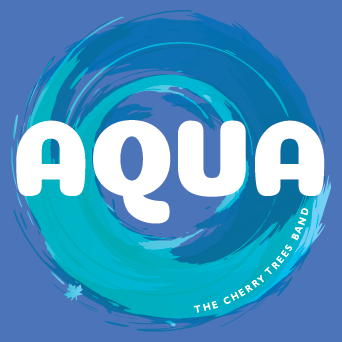 Our talented group is has now released "Aqua" the second studio record album by The Cherry Trees Band. Aqua is now on iTunes, Spotify, and most other on-line music distribution sites. 100 percent of proceeds from both "Change The World" and "Aqua", from corporate donations and from our music event are donated to the Water for Life Initiative. Also, join the Cherry Trees Band for their album release event on December 3, 2018 at Hughs Room, Toronto's world famous music venue. We are proud to have raised $42,500 from our first initiative in 2015. Support us in 2018 as we strive to fund 10 water wells and supply 10,000 people with fresh clean water! $8,500 drills one well and provides water for 1000 people for up to 25 years. Our goal is to drill at least ten wells, for a total goal of $85,000. I'd like to help! What Are My Options? The Cherry Trees Band's new album, out Spring 2018! Take a look at our Music Video featuring our song "300 Feet." Join us at Hugh's Room for our Fundrasing Event! November 10th Drew Marshall Show. A widely listened to and streamed radio program focussing on spiritual matters. We’ll be playing five acoustic songs from our new album, and we will be interviewed to discuss the work we are doing in support of the Global Aid Network. To stream this show, go to Drew Marshall show, click on “Listen Live”, then follow the instructions requiring you to: Click on the (i) icon within the Address Bar, then Go down to the Flash entry and change “Ask (Default)” to “Always Allow on this site”. Our Past Campaign 'Change The World' Proved to be a Success! Our 'Change The World' campaign raised $42,500, building 5 wells. That's enough fresh water for 5000 people!